Keren Peters Atkinson is Chief Marketing Officer for all of the divisions of Madison Commercial Real Estate Services, Madison Title’s Joint Ventures and related companies. With 16 years experience in marketing, communications, public relations, sales and event planning for the real estate and financial services industries, Mrs. Peters Atkinson specializes in brand positioning, integrated traditional and digital marketing solutions, and CRM. Previously, Mrs. Peters-Atkinson was Director of Marketing and Business Development for Bayview 1031, a division of Bayview Financial, LLP, a full-service mortgage finance company, and for SH Communities, formerly Southern Homes, a developer of commercial, residential and mixed-use projects throughout Florida. Before joining SH, Mrs. Peters-Atkinson was CEO / Principal of Image Builders, a full-service marketing, PR and communications firm servicing the real estate, travel and publishing industries. Mrs. Peters-Atkinson earned her Associates degree with honors from Miami Dade College, Bachelors degree with honors from Florida International University, and Masters degree in Leadership with high honors from Nova Southeastern University. A presenter on CRM strategies and corporate rebranding, Keren Peters-Atkinson has been a speaker at the NAR Annual Convention and the International Builders Show. 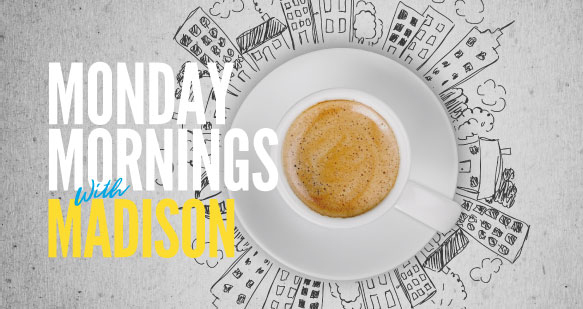 Mrs. Peters-Atkinson has written and published over 200 articles and is currently author of Monday Mornings with Madison, an award-winning weekly work-life advice column. She is also the Editor of and a contributor to The Trusted Advisor, a serious blog focused on commercial real estate issues. Mrs. Peters-Atkinson can be reached at kpeters@madisoncres.com.